An HSA works much like your typical savings account – you add money to it as you please. 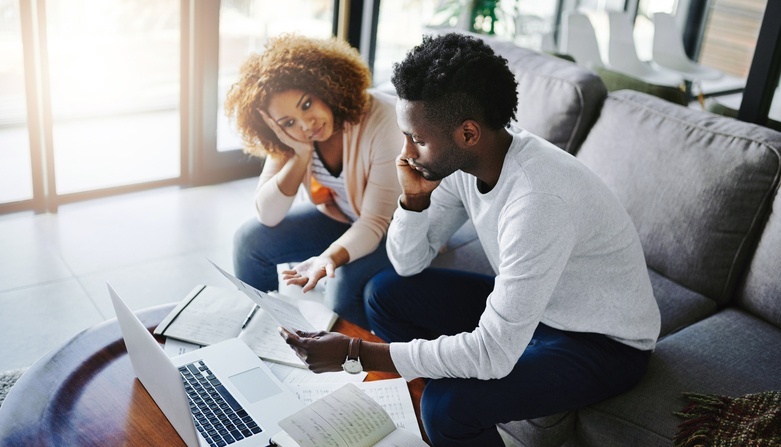 Some people choose to have a portion of each paycheck put directly in their HSA, and some employers also choose to match all, or part, of those contributions. The benefit of keeping money in an HSA rather than a normal savings account is that the money you add (and eventually use) is tax-free. An HSA works in conjunction with your high-deductible health insurance. Translation: your deductible must be a minimum of $1,300 for individuals, or $2,600 for families. Therefore, your HSA dollars can only be used to help pay your health insurance deductible or qualified medical expenses (keep reading, we'll define that term shortly). Similar to how some savings accounts have withdrawal limits, an HSA is limited by what you can withdraw funds for. Any funds you withdraw for non-qualified medical expenses will be taxed at your income-tax rate, plus 20% if you’re under 65, so do yourself a favor and verify the qualifications before spending the money. Often times, your HSA account will come with a debit card that you can use to pay qualified expenses directly. But if you put medical expenses on your regular credit card, you can still reimburse yourself through your HSA. Simply save your receipts, turn them in through the proper channels (determined by your provider), and receive a refund! Key Takeaway: Anyone with a high deductible can have one of these accounts and they are great additions to your health care. An HRA is an IRS-approved, tax-advantaged health benefit plan. An HRA alone is not health insurance – it works in conjunction with your insurance plan to offset the costs of medical expenses. Unlike an HSA, an HRA is an agreement you have with your employer. Often times, this means your employer has agreed to contribute a determined amount of money (ex. $1,000) to your HRA account each year. This makes an HRA an excellent way for employers to offer health benefits and pay for a wide range of medical expenses not covered by insurance. But be aware – your ability to use this money also depends on the qualifications of your expenses, so make sure you're aware of the details before spending those dollars. Key Takeaway: This is an agreement with your employer. Also known as a flexible spending arrangement, an FSA is an account you put money into for use on certain out-of-pocket health care costs. These costs are often things you're already paying for, like copays from doctors visits and prescriptions. FSAs tend to be a part of your benefits package from your employer rather than your insurance company. Much like an HSA, you can contribute to your FSA every pay period, and the money you contribute is pre-tax. This means you'll save the amount of tax dollars you would have paid on the money you set aside. Unlike HSAs and HRAs in which funds roll-over year to year, FSAs follow the "use-it-or-lose-it" rule – at the end of the year, any remaining dollars in your FSA account effectively disappear, so you want to be sure to use up the funds by the end of the year! Key Takeaway: This is a way to pay for things not covered by your insurance. So what's a qualified medical expense? OK – finally! Here's your answer... well, sort of. Because, if we're being honest, the IRS is best suited for explaining what qualifies and what doesn't. The Service defines a qualified expense as one whose primary purpose is "to alleviate or prevent a physical or mental disability or illness. "1 You can read the entirety of their definitions in this document.1 We've also copied excerpts to the "Fine Print" section of this post (below). In some cases, your healthcare provider can also supply you with a list of categories. And when in doubt, ask! Of course, you should always keep in mind that the expense should be in the medical, physical, or mental health families (sometimes that does include dental and vision). What's the good news here? Well in our opinion, it's that many agreement providers authorize InsideTracker tests as qualified medical expenses! How can I use one of these accounts to purchase an InsideTracker plan? We'll start with a brief disclaimer: we know that using these accounts is not always trouble-free. So, with this in mind, should you have any questions or issues with the steps below, please know that we're here to help! Step 1: Verify that your agreement provider covers InsideTracker plans. Step 2: Purchase the InsideTracker plan(s) of your choice. Step 3: Work with an InsideTracker Team Member to obtain a personalized receipt. Step 4: Save your personalized receipt and either upload it to your HSA account or submit it through the proper channels (determined by your employer or insurance company) to receive your reimbursement! You should always contact your healthcare provider before making any decisions regarding HSAs, HRAs, or FSAs, as some details are specific to certain plans and providers. Still have questions or want to use your HSA/HRA/FSA benefits? Contact us now to get started on your journey towards optimized personalized health! "Medical care" expenses as defined by IRS Code, Section 213(d) include amounts paid for the diagnosis, treatment, or prevention of disease, and for treatments affecting any part or function of the body. The expenses must be to alleviate or prevent a physical defect or illness. Expenses for solely cosmetic reasons generally are not expenses for medical care. Examples include facelifts, hair transplants, and hair removal (electrolysis). Also, expenses that are merely beneficial to one's general health (for example, vacations) are not expenses for medical care. Questions regarding reimbursable health care expenses should be referred to a tax consultant. Please note that the list is subject to change based on regulations, revenue rulings and case law. The list is intended only as a general guideline for covered expenses. All items on the list may be subject to further restriction. An employer may limit which expenses are allowable under their FSA or HRA plan offering. United States, Congress, IRS. “Medical and Dental Expenses (Including the Health Coverage Tax Credit).” Publication 502, Cat. No. 15002Q. IRS, 2017.